This comes from my brother. The image shows two vehicles. 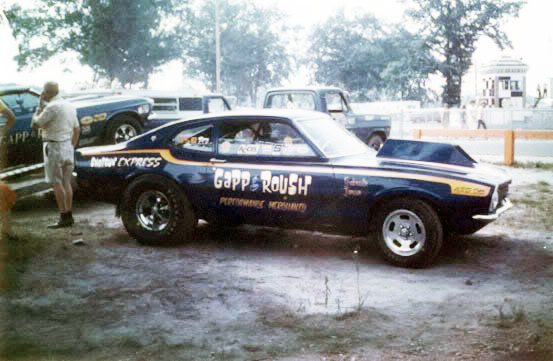 The Super Stock Convertible Mustang that won its class at Indianapolis in 1972 in SS/HA class and the first Pro Stock Maverick (blue).